Call us today to discuss a treatment program. Usually this means simply giving your cat a spot on treatment or tablet 3 months. Different worms may require different medication. Tapeworms and roundworms are the most common types of worms that affect cats. Due to the potential human health hazard, as well as the possible ill-health to the cat, regular worming of cats is important. 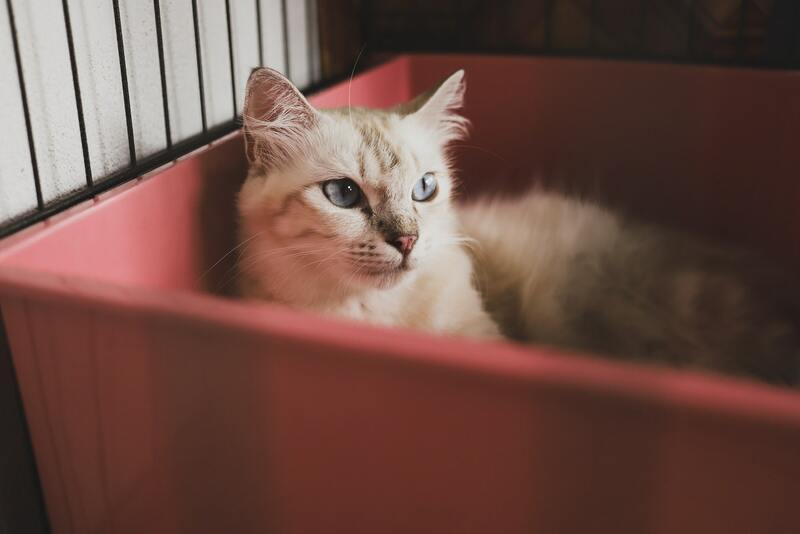 In addition, careful disposal of litter from litter trays is important, and ideally the tray should be disinfected weekly with boiling water. Treatment for kittens is more regular, but for most cats, a spot on treatment or tablet every 3 to 6 months can usually keep them happily worm free. If your cat is showing signs of having worms, such as; vomiting, swollen tummy, weight loss, then arrange an examination by one of our qualified vets and we’ll find the right treatment. How do worms affect my Cats health? Worms are very commonly found in cats and they can cause many health issues such as weight loss, anaemia, dull coat, lethargy, diarrhoea, vomiting and generally feeling unwell. When do I worm my cat? Intestinal worming can be as simple as giving a tablet once every 3 months or for cats that don’t like having tablets there are “spot on” or topical applications available.